Start today! 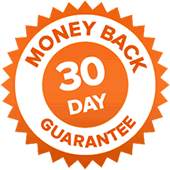 No risk 30-day money back guarantee. 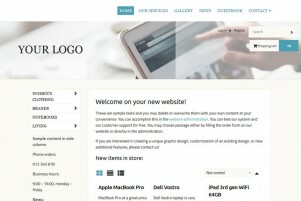 Perfect for a small business or personal website. The same product has different prices. Based on the product variants like T-shirt size (XS, S, M...) or volume of perfumes set different prices. Common feature like price variants. No need to change the whole product price. Set up extra fee only. Highlight your products with memorable and unique tags. Use labels like NEW! IN STOCK! SALE! 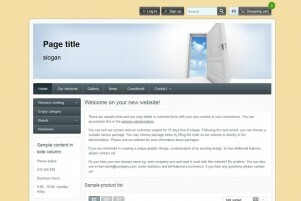 You get a third-level domain name for free with subscript .bizwebs.com. No option for your own domain name. Only one main language is possible. If you wish to sell internationally , please, upgrade for the higher version at least Starter plan. No option for invoice software. You can not edit and create proforma invoice or invoice in Flox 3. In a case you wish to work with online invoice system please upgrade at least for Starter package plan. Stay in touch with your customers via social media. Facebook, Twitter, Youtube widgets available. Like box button, share buttons and more. PayPal as an online payment option. Send and receive payments online just with your email address. Paygate already implemented in all packages. For free. No extra fees. Recommended for large websites and medium stores. Highlight your products with memorable and unique tags. Use labels like NEW! IN STOCK! SALE!. Possibility to use your own domain. You get a third-level domain name for free with subscript .bizwebs.com. Transfer your own domain or register a new one. We can register new domain name for you too. Contact us for more info. You get your main language version plus 1 version for international selling. The system offers 10 languages (English, German, Spanish, Danish, Polish, Finish, Swedish, Hungarian, Slovak, Czech) and other languages are in progress. 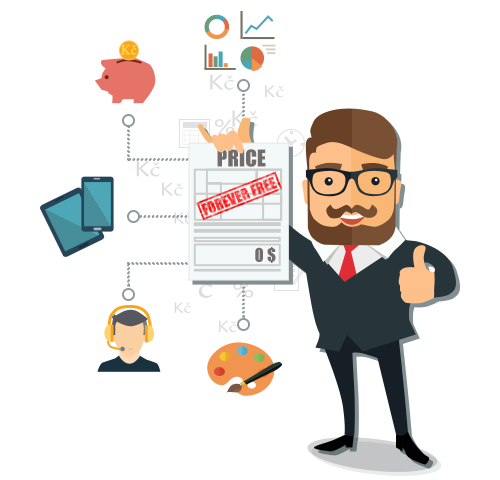 Creating proforma invoices and invoices is easy and quick. One mouse-click and you can change the order into the invoice which will be emailed to the customer. Directly from your admin interface. 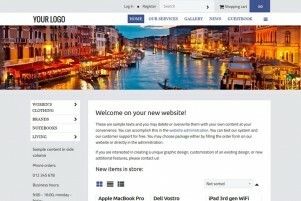 Get a professional website setup. Order our services at least for a 6-month period. We will help you get through basic steps. You will get 2 hours of our attention. Your own account manager will answer all your questions via online meeting. 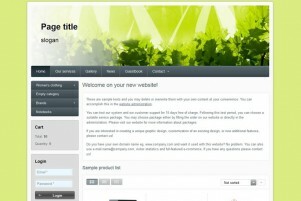 Includes advanced features ideal for a professional website. 10 GB is suitable approximately for 66000 uploaded photos and documents. You get your own main language version plus 2 language versions for international selling. The system offers 10 languages (English, German, Spanish, Danish, Polish, Finish, Swedish, Hungarian, Slovak, Czech) and other languages are in progress. Merchants can use PayU to accept local payments. Mexico market available. Perfect for clients who want BizWebs at its full capacity. Possibility to use your own domain. You get a third-level domain name for free with subscript .bizwebs.com. Transfer your own domain or register a new one. Register new domain with BizWebs.com and you have it for free. Contact us for more info. You get your own main language version plus an unlimited option for language versions for international selling. The system offers 10 languages (English, German, Spanish, Danish, Polish, Finish, Swedish, Hungarian, Slovak, Czech) and other languages are in progress.
! BONUS ! SSL certificate for free in all packages. Use HTTPS Everywhere. Unique 0% transaction fees. We won´t charge you for your success. Prices are without VAT 20%. Sell online without spending any money? How does the free 30-day free trial work? We do not make clients enter contracts. We do not want your personal data. All we need is your e-mail address. 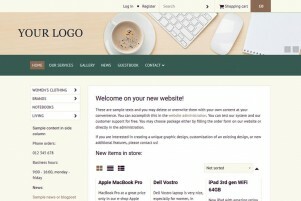 You can create a website for 15 days free of charge and test our products and services! After 15 days, your website will be automatically deleted and we will not contact you anymore. Or you can extend your trial by 15 days more for free. If you order BizWebs.com in the course of the trial test, the content on your website will be maintained for you for further use. Do I have to conclude a contract for a definite time? No. BizWebs.com works as a subscription system and you can subscribe for 1, 3, 6 or 12 months. Before the subscription expiration, we will send you an invoice for the following period so that your website can be operated continuously. Will you help me create the website? BizWebs.com is a very simple system and user- friendly system. 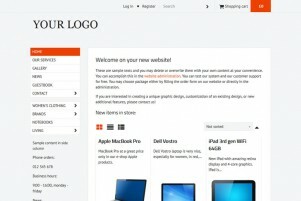 You will be able to create a website or an online store by yourself. Try it 15 days for free! If you have any problem when working within the system or if you are too busy, you can use our additional services such as creating the website content, graphic design etc. Our BizWebs team is ready to assist you at any time! The minimum subscription period for Bitcoin payment is 6 months. No initial charges – the price you see in our Pricing table is the final price. No liability on your side - please see our Terms and Conditions. You can terminate the service at any time. The VAT tax of 21% will be charged for european customers according to the law of the European Union and for non-EU customers for invoices with less than 10.000 CZK (~490 USD) of total amount. Do you need help to decide which package is best for you? 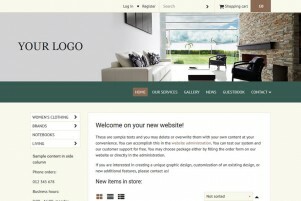 Have you tested your website lately and want to order it now? We are offering additional services to all packages.